Stable isotope analysis has become a powerful tool in ecology and ecosystems studies. Among many applications, it can be used to trace water source and flow in watersheds, the trophic level of organisms, their diet and even aspects of organismal behavior as it relates to food choices. The Laboratory of Stable Isotope Ecology in Tropical Ecosystems (LSIETE) provides stable isotope analysis of solid and liquid samples. Specifically, we have the capacity to determine the oxygen, hydrogen, nitrogen and carbon isotope ratios of organic matter and water. 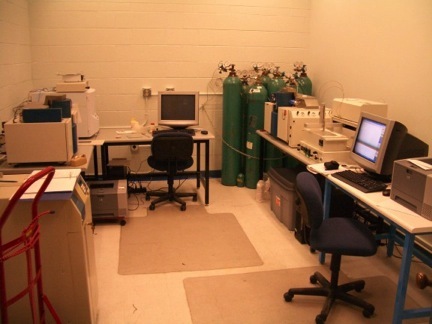 Organic samples are pyrolized to simple gases containing the element of interest and analyzed via mass spectrometry. For further details please follow the link:http://penguin.bio.miami.edu/leo/Stable%20Isotopelab/INTROPAGE.htm.